Do you have a driving passion for all things digital? Are you looking for a position with tons of autonomy and the opportunity to learn and grow within the role? S.H.E are the NZ distributors of Dermalogica, Nvey Eco Organic Makeup, EyeSlices, Spring Spa Wear and Billion Dollar Brows. We are looking for a passionate digital marketing specialist that can help grow and develop our online businesses. This includes the already established e-commerce website for Dermalogica and new e-commerce websites for Spring Spa Wear and Billion Dollar Brows. This newly appointed role offers the opportunity to take ownership of the marketing of these e-commerce platforms along with the social media pages associated with them. Reporting into the Marketing Manager, you will work very closely with a small marketing team in a role that will be diverse and challenging. 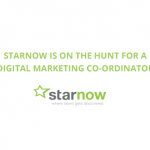 We are looking for an up and coming digital superstar who will be contributing to the development, planning and execution of campaigns across all our online platforms and who can take these websites to the next level. If you think you have what it takes to fill this challenging and exciting role please send your CV and cover letter to Angie Montgomery – angie@skinhealthexperts.co.nz. Applications close 30 November 2014.